“Anything, Roman Catholicism, Buddhism, LSD, I’m for anything that works,”: Cohen on the means of spiritual seeking. Hineni is Hebrew for “Here I am,” Abraham’s answer to the summons of God to sacrifice his son Isaac; the song is clearly an announcement of readiness, a man at the end preparing for his service and devotion. Cohen asked Gideon Zelermyer, the cantor at Shaar Hashomayim, the synagogue of his youth in Montreal, to sing the backing vocals. And yet the man sitting in his medical chair was anything but haunted or defeated. “I know there’s a spiritual aspect to everybody’s life, whether they want to cop to it or not,” Cohen said. “It’s there, you can feel it in people—there’s some recognition that there is a reality that they cannot penetrate but which influences their mood and activity. So that’s operating. That activity at certain points of your day or night insists on a certain kind of response. Sometimes it’s just like: ‘You are losing too much weight, Leonard. You’re dying, but you don’t have to coöperate enthusiastically with the process.’ Force yourself to have a sandwich. Anna Walentynowicz who died, aged 80, in the Smolensk plane disaster was the woman who began one of Poland’s most significant postwar events – the Gdansk shipyard strike in 1980 that led to the formation of the Solidarity trade union and, ultimately, the collapse of communism. Every franchisee advocate I know has been despised by most everyone. Especially their “peers”. 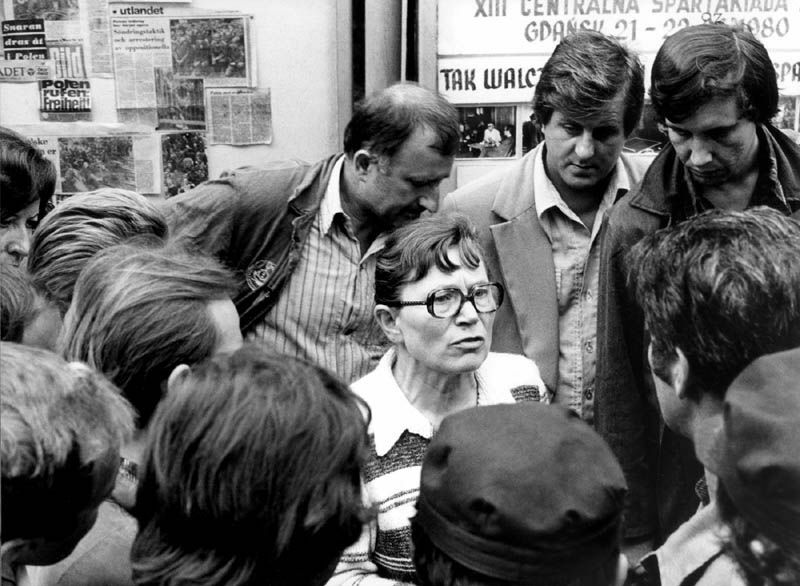 A Polish free trade unionist it was her sacking in August 1980 that provoked the strike at the Lenin shipyard in which more than a million workers would eventually be involved. Despised by the shipyard’s management, later in her working life she would be segregated from other employees for her actions. The crisis would come, however, when the management finally moved against her in August 1980, firing her a few months before she was due to retire. It was this clumsy action that led to the strike, which occurred in the midst of a period of profound political and economic problems for the Communist regime. The consequence of that action, led by then electrician Lech Walesa, was the emergence of Solidarity and also the Gdansk Agreement, which saw the government give in to the workers’ demands for a new social contract. Within two years the union would have 10 million members. AP reports that she saw herself this way: I was the drop that caused the cup of bitterness to overflow. One person makes a majority. A beautiful post on the That’s how the light gets in bog. I don’t know anything about being on the ocean. But I try to listen when stories are told about forces of nature that overtake man’s best-laid plans. Coping with disasters, natural and man-made, has been an interest of mine for some time. Uncle Jerry was there when the ash fell like snow: survivor stories make me feel good. Franchising comes on you like a hurricane. It disrupts all relationships, your self-identity, causes such pain and casts you out onto a dung pile. it did it to me and I can tell you, others seem to share my experiences. But in the midst of it all, there are messages out there calling you to take care and to take heart. Dylan: Statues made of match sticks, Crumble into one another, My love winks, she does not bother, She knows too much to argue or to judge. One form is through music. You should listen to Stan Rogers as much as you can. If you think this is good, his ballads will kill the part of you that is hardening. The skipper, he’d been drinking and the Mate, he felt no pain. There were just five of us aboard her when she finally was awash. We’d worked like hell to save her, all heedless of the cost. But insurance paid the loss to them, they let her rest below. For she’s worth a quarter million, afloat and at the dock. All spring, now, we’ve been with her on a barge lent by a friend. Three dives a day in hard hat suit and twice I’ve had the bends. Or I’d never have the strength to go below. But we’ve patched her rents, stopped her vents, dogged hatch and porthole down. Put cables to her, ‘fore and aft and girded her around. And watch the Mary Ellen Carter Rise Again. For we couldn’t leave her there, you see, to crumble into scale. They won’t be laughing in another day. . .
No matter what you’ve lost, be it a home, a love, a friend. I’ll miss newspapers when they’re gone. McLuhan said you didn’t read a newspaper, you step into one, like taking a bath. President-elect Obama will be visiting Canada soon. 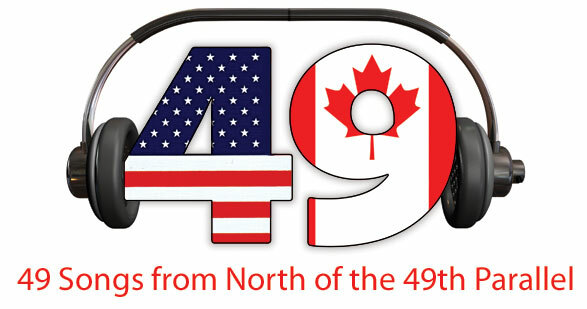 The Toronto Star reports that CBC Radio is holding a poll to select some songs to give to the President as a gift from all Canadians (CBC shuffles Obama’s iPod). Here’s one of our best. A quirky, abridged version but Is it possible to to hear too much of The Voice? My love affair with franchising continues.